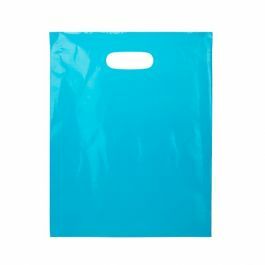 12" x 15" Frost Retail Handle Bags are great shopping bags for medium sized items including apparel, toys and more. 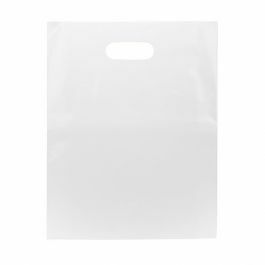 They also work well as convention or trade show bags. 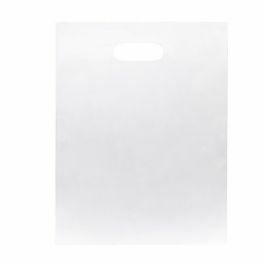 At 2.25 MIL thickness, these bags comply with single-use bag ban laws, feature die cut handles, and are made of recyclable material. Frosted material allows the contents to be seen and provides a premium feel. 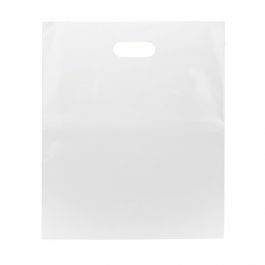 This 12" x 15" frosted reusable shopping bag is a great option for the retail or convention environments. These reusable bags are made of recycled material and will meet single-use bag ban laws. Frosted bags allow contents to be seen while providing a premium feel. 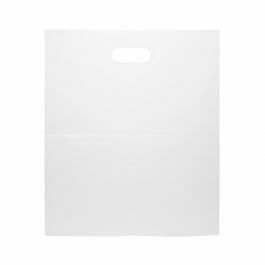 The die cut handles make these retail shopping bags easy to carry. 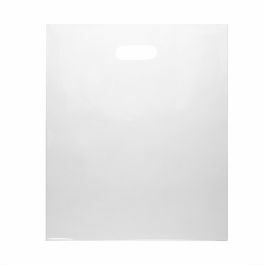 The 12" x 15" size is perfect for holding apparel, toys, or other medium sizes items. Outer Dimensions: 12" x 15"
Inner Dimensions: 12" x 12 3/4"
Inner dimension length measured to the bottom of the die cut handle.